Driven by digitalization life is getting faster and more complex every day. Trends, manners and special likings are in constant change. A big challenge for any kind of product development as on the other hand side markets are oversaturated with increasing uniformity. Products are often only a rehash from the seasons before and consumers are fastidious, constantly in search of novelties and best price offers. 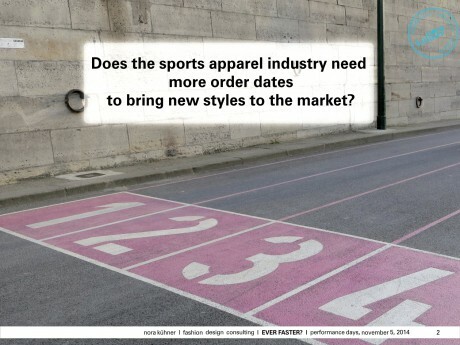 No wonder that the demand for more changes per season is uttered rather often in the sports apparel industry lately. Yet: Are more changes really suitable for the sports industry? Will fast changes really increase business? Price pressure has become the leitmotif of collection development but can this pressure be the base for the future? 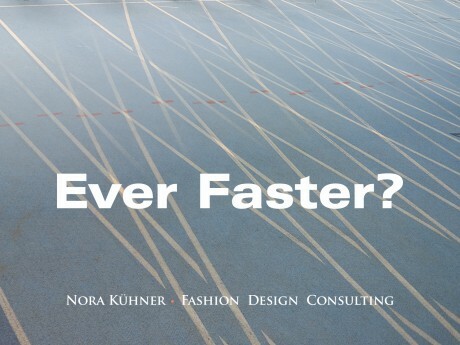 And what about development cycles in the sports apparel industry? How to live up to the consumers fast changing preferences when starting product development more than two years ahead of the season? We push the limits of fabrics and the technology for manufacturing. 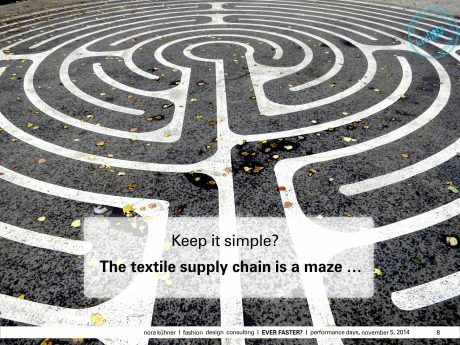 We try to develop compliance standards – but the supply chain of each single garment is so complex that we spend a lot of time and money on certifications. Elementary changes in globalized societies require a broad variety of responses. 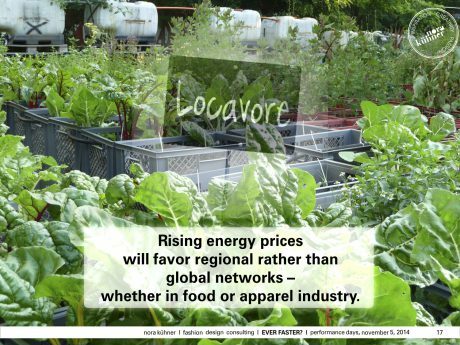 We are standing at the edge of a fundamental change in the apparel industry. The system which we are used to work in will sooner or later collapse. Time to ask new questions instead of answering to the well-known existing ones. 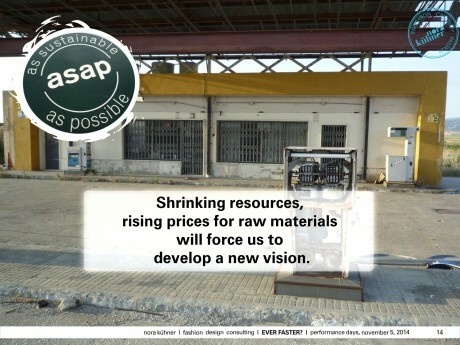 High time to create value and not only cheaper garments which arrive faster in the market! The economic previews for the further development of the global sports apparel market are rather stable for the years to come. The demand will slightly increase. Yet we will have to push the boundaries of design, innovation and customer relation. People are in quest of meaningful products which are adapted to their particular needs. Sports have deeply changed within the last two decades. Once seen mainly as pure physical exercises, sports have turned into a serious part of the way we live. We have and want to be healthy, dynamic and in good shape. Besides, public health programs start spreading all over the globe to offer health support to people. The fast growing health sports market will be one of the most interesting and demanding challenges in developing apparel garments.